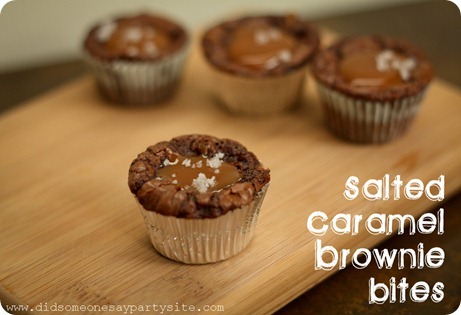 I am thinking these salted caramel brownie bites from Did Someone Say Party would go really good with the salted caramel ice cream from David Lebovitz. You can get the recipe for the brownies HERE. Oh my goodness. 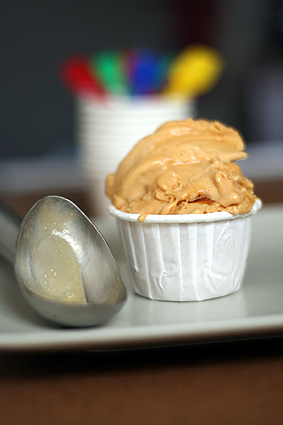 Salted caramel. And chocolate. And easy. Why on earth was I trying to lose a few pounds? I must've been delusional. Thank you for sharing this--this is now on the "must try" list! Sarah, let me know what you think if you try them! That would be a perfect combination! Ooh, particularly when the caramel is still a little warm - YUM. Thanks for featuring our brownie bites - and sharing the genius pairing! !